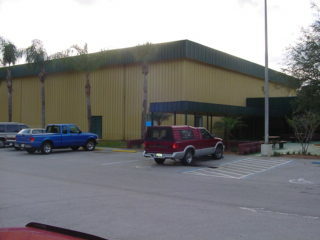 The Lakeland Table Tennis Club is located at the Simpson Park Community Center in Lakeland, Florida. Round Robin Table Tennis play is available on Sunday beginning at 1:00 p.m. till 4:30 p.m. Practice, drills and training is available each Wednesday and Friday beginning at 6:00 p.m. until 9:30 p.m. 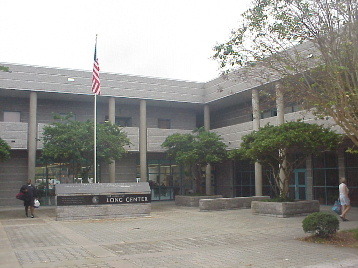 The center is located at the corner of W. Bella Vista St. and MLK Jr. Ave., just two blocks west of N. Florida Avenue, north of downtown Lakeland. Take Exit #32 off I-4 and travel SOUTH on US 98 (N.Florida Ave.) for 1.4 miles. Turn Right onto W. Bella Vista St and go 2 blocks. 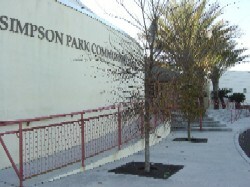 You will see the Simpson Park Community Center on the left beside the beautiful swimming pool and palm trees. and $1.00 equipment replacement charge. for tournament info & Community Ctr play. Click on the "Title"-OCALA TABLE TENNIS CLUB" to go to their website. A detailed map is located there, along with other important information. CLICK ON THE TITLE---"SUNRISE TABLE TENNIS CLUB" to visit their website. Table tennis is alive and growing in Central Florida and regardless of which direction you travel, take along your paddle. In fact, if you are headed up towards Ocala, Florida, stop by and see Hank Tiedeberg and the group of excellent table tennis players at the SILVER SPRINGS SHORES TABLE TENNIS CLUB. 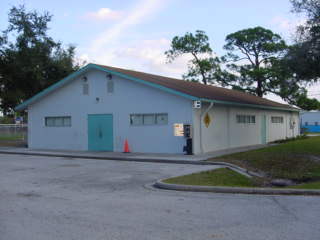 The club meets three times a week at the Silver Springs Shores Community Center on Silver Road. It is a little tricky to actually find the center, but when you do, be prepared for some fast table tennis action and a lot of fun. Check out the schedule below and the phone number contact for precise directions and then plan a nice trip to Silver Springs, just a little east of Ocala. It will be worth the trip. Please contact Wil Greer (813)962-4344 for specific information about the club, closings for holidays and any other club related information. We play on Tuesdays and Thursdays 6-10pm. Closed on every 4th Tuesday of the month. Cost is $10 lump sum per year or $1.00 per week for 2 days. Go south on Westshore Blvd. past Gandy Blvd. Port Tampa Recreation Center on Right just past R/R Tracks. Current attendance - 6 to 12 players each day. Much time to practice. Club Rules: 20 minute practice or win two matches sit out or lose one match and sit out. Current Player List: Kit Jeerapet; Prakit Jeerapet; Malai Jeerapet; Greg Gingold; Wil Greer; Toby Hart; Curtis Quesnell; Tom Rao; Ron Chin; Carl; Phoung; Rudy B.; Randy Beardsley; Fred H., et. al. The Cocoa Beach Table Tennis Club has moved to a great new location. It is a very active club with some great players who are dedicated to making the atmosphere there as productive as possible for the players. 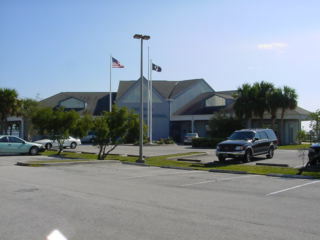 Meets at the Palm Bay Community Center thursday night from 7:00 p.m. to 10:00 p.m.
usually draw between 10 and 15 members. any cancelled sessions. (813) 929-1220.
of the club. Currently we have (25) members. to join us.There are currently no membership fees. the USA Table Tennis Organization . only be placed in one group at any time. occurs, they remove their name from the list. their name on a group waiting list. played best of five, 11-point games. is limited to 3 minutes. minutes rather than play a match. the end of the practice session. two matches or two practice sessions. are free to play as long as they wish.